Here in Stuttgart, I’ve never felt so close to so many things. The country of Germany has 9 bordering countries, all of which can be reached by train. So many options, so little time. So, I figured this past weekend, I would just knock out a few all at once. First up, Switzerland. You probably know them for cheese, for Alps, for chocolate, for neutrality. All in all, a pretty solid list of things to be known for. Apparently, Zurich is also home to the largest clock face in Europe, so naturally, I had to see it. 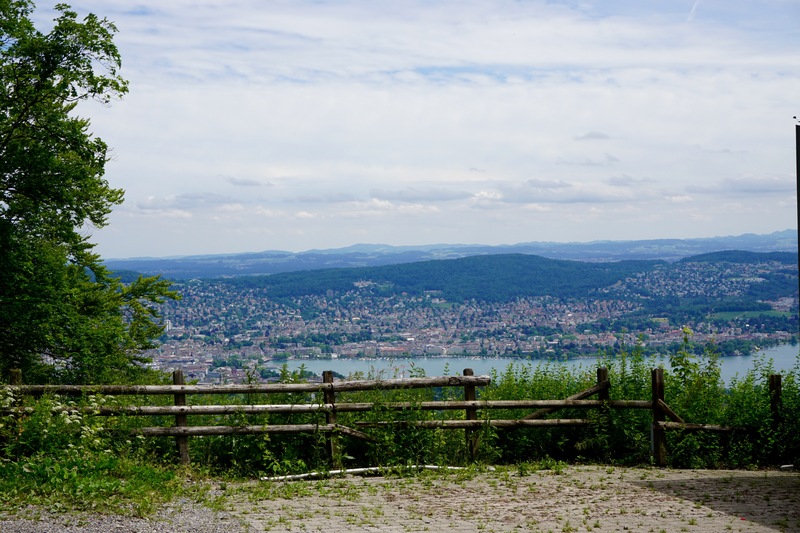 Zurich is only 2 hours driving from Stuttgart, and it was definitely worth the drive. 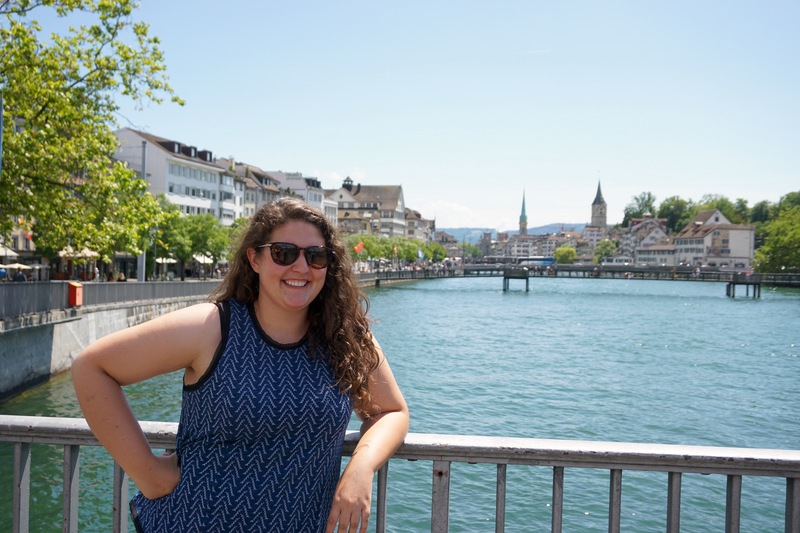 If you ever decide to make a trip to Zurich, I definitely recommend going in the summertime, because then, you can enjoy all the wonderful things about Lake Zurich. I rented a paddleboat with a friend, and we took in the wonderful view of old Zurich and the Swiss Alps in the distance. Wonderful. However, despite the beauty that is Zurich, the cost of everything was much too high for my liking. A cup of coffee is around 7 Franc, which is about 8 US dollars. Luckily, buying all of our food ahead of time saved some of the major costs. But that being said, if there’s going to be a meal that you do buy from a restaurant in Switzerland, make sure its fondue (aka Switzerland’s national dish). I know I said the cheese in Amsterdam is good, which it is, but Swiss cheese is definitely a close second. Especially when melted and slathered over small pieces of bread. Mmmmm carbs. Zurich is a relaxing city. It has some cool museums and some cool things to do, but I think the best way to enjoy the city is to kick back by the lake. Go for a walk in the mountains. Wander through the old main square. But most importantly, eat many pots of fondue. So yeah, that’s Lichtenstein- a rental country full of fake teeth and immigrant soldiers. We visited the capital city, Vaduz, with a population of ~500 people. Honestly, all I can say is that it was an extremely strange experience. It was a Sunday, and the streets were deserted except for me, my friend, and dozens of Japanese tourists. Vaduz is really a very nice city, but it just felt like a ghost town. Not a Liechtensteiner in sight. We stopped by the “famous” stamp museum, which turns out to be 1 modestly sized room filled with the history of Lichtenstein’s stamps. Apparently they are a big stamp country. So, even thought Vaduz was a little bit strange, I will tell you that the drive on the way to Lichteinstein is totally worth the uncomfortable feeling of being in a city about the size of your high school. Lichtenstein is sandwiched in between Switzerland and Austria, and on either side is beautiful, wonderful, fantastic scenery. When we drove there, morning fog was coming over the mountains, and in front of us, we had a gorgeous view of the Swiss Alps. So, go to Lichtenstein for the drive over there, and I promise you will not be disappointed. That is, until you actually get to Lichtenstein. After Lichtenstein was Austria. Even though I have been through Austria before, it never fails to amaze me. Beautiful country. We drove along Lake Constance, a lake that borders Germany, Switzerland, and Austria. After a quick meal in Meersburg, we were back in Germany, and headed home to Stuttgart. Our intention for the weekend was to relax and recuperate from a busy week of tests, but it actually ended up being much more exciting than we expected. It gave us the chance to see some really different places, and visit where many would never even think to go. Next time, hopefully I can slow down a bit, and explore 4 countries over the course of more than just a day. Except Lichtenstein, it only needs a half hour. Tagged austria, germany, lichtenstein, study abroad, switzerland. I used to live in Switzerland, it was so expensive I could barely afford to eat. You did the right thing in taking food with you.